FRRRRRIIIIDDAAAY! Who's got two thumbs and is excited for the holiday weekend? THIS GIRL. Today's nails were born out of another group mani challenge...gradients! Make sure to check out the end of the post to see the Inlinkz collection featuring everyone who participated. 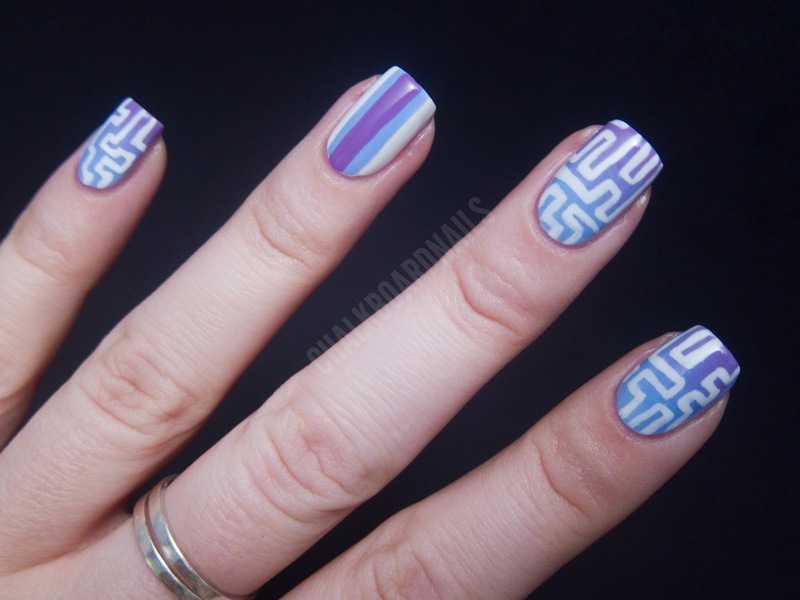 As you obviously know, gradients are majorly popular right now -- mainly thanks to The Nailasaurus' fabulous tutorial! If you haven't read it yet, you MUST. It makes gradients a breeze, and they look so smooth and airbrushed when you're done. The blue color is Essie Bikini So Teeny, which is a new Essie Summer color. It's a lovely cornflower periwinkle blue and it has a super faint glimmer to it (just barely though). The purple is Essie Play Date, which is relatively new as well. It's a vibrant lilac purple. 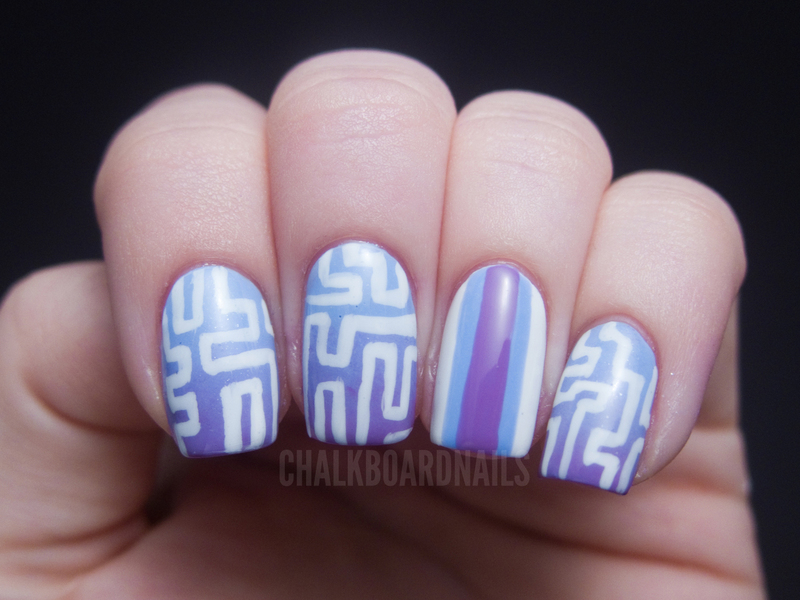 The white maze designs were freehanded on using a small striper brush and Essie Blanc, a white creme. It was surprisingly pigmented! The accent nail was created just by painting on a thick blue stripe down the middle of the nail with the polish brush. Then, I added a thinner purple stripe in the middle of the blue stripe. Easy! I'm not sure where the inspiration for this design came from. I more or less just started painting a design on top of my finished gradient and this is what I ended up with. I'm so into it though, to me it seems vaguely Aztec but with a modern twist. If these colors look familiar to you, it may be because they are my blog design colors! It wasn't until after I finished this manicure that I realized that. Happy coincidence! Truthfully, I haven't used many Essie polishes in the past, though not for any particular reason. I really enjoyed working with them on this manicure. The formula was nice and the shades are beautiful. 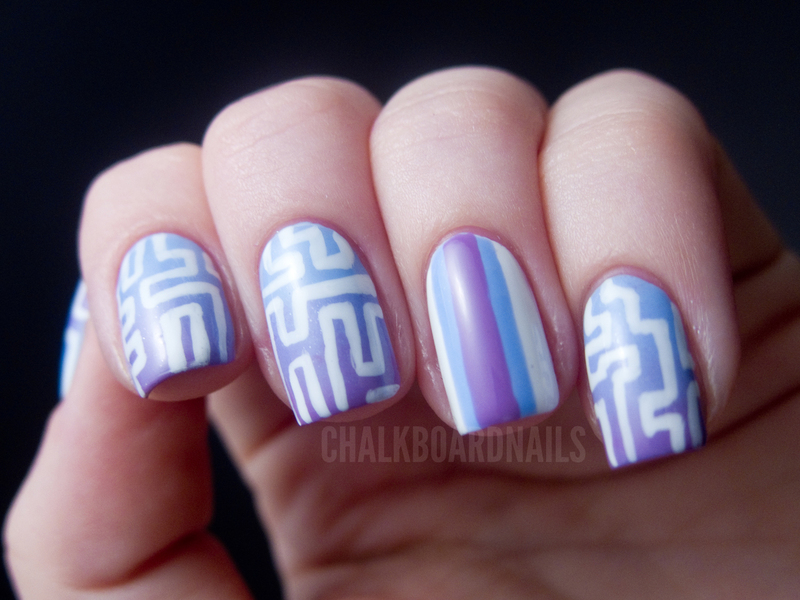 I hope you enjoyed this super fun Friday manicure... you can bet that I currently am! I love it - and the colors work great together! Gradient Fridays?! =O I must participate!! 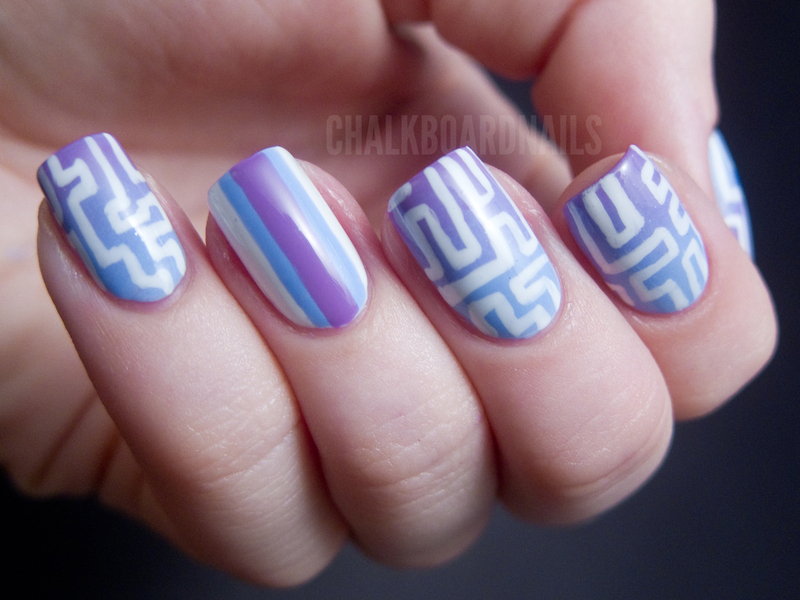 I love this, the designs are awesome and the gradient is so pretty. Love it! This came out awesome! And it perfectly matches your blog, amazing! I love all these colours together! Lovely, the colours work so well together! Love it, you are so creative, as usual! When/where do you guys decide the mani challenge for the week? Aaaaahhhh these are so beaut! Colours and design are so perfect! I've just started trying my hand at nail art and am always so impressed by the stuff people come up with - but does make it very tricky to keep my jealousy in check haha! love love love love love this, Sarah!!! You have the most creative ideas I have seen. 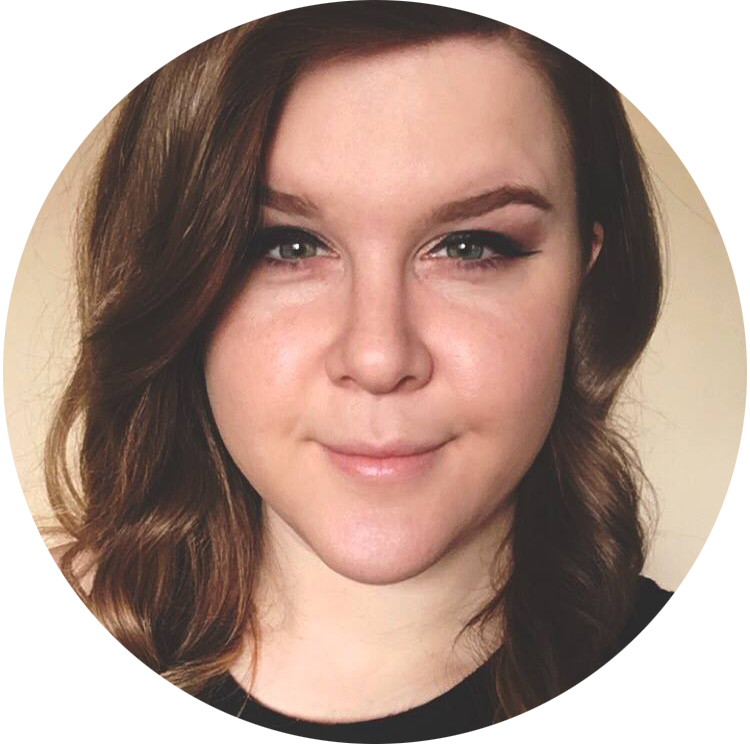 I LOVE seeing your posts in my Bloglovin feed. These are so freakin' awesome!! A gorgeous manicure as always, love the accent nail too!